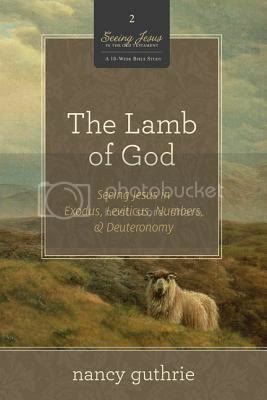 The Lamb of God: Seeing Jesus in Exodus, Leviticus, Numbers, and Deuteronomy is the second book from Nancy Guthrie’s Seeing Jesus in the Old Testament series that I’ve had the privilege of working through. I’ve been eager to read more of these since I first reviewed The Promised One: Seeing Jesus in Genesis last year. I’ve been working through The Lamb of God alongside my Bible reading plan and it is fantastic! The format for this study is the same as in The Promised One. 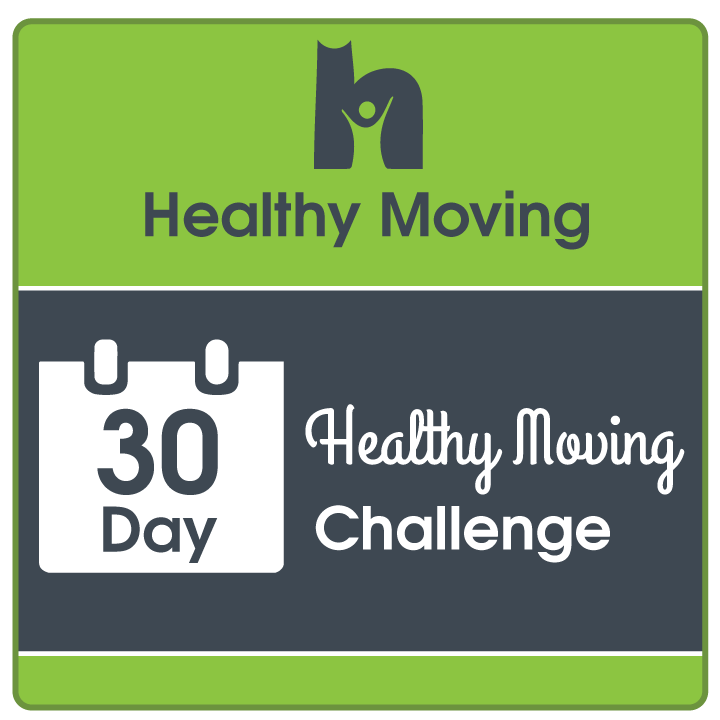 Each week (except the first week) begins with a “Personal Bible Study” section that guides the reader through the passage for the week with questions, charts, and related Scripture passages, followed by the meat of the study, called the”Teaching Chapter”. The teaching chapter is followed by a short section called “Looking Forward”, which is designed to show how what we’ve just studied gives insight into what is still to come when Christ returns. Finally, there’s a short discussion guide meant to be used in group studies. As you can see, the majority of the book (seven of ten weeks) is spent on the book of Exodus, and just like in the first volume, it continually ties every passage to the larger story of redemption. The continuity of Scripture is something I think is absolutely essential to grasp. It’s not a series of disconnected events, stories, and writings, but one big story pointing to Jesus Christ. The events of the Exodus, the giving of the Law, the tabernacle and entire sacrificial system, all point to the coming Redeemer, down to the last detail, and Nancy Guthrie shows this in a clear, insightful, and incredibly edifying way. The weeks spent on the tabernacle, priesthood, and sacrificial system are phenomenal! Just as with the first volume in the series, I give The Lamb of God my highest recommendation! Whether individually, with just one or two friends, or in a group setting, you will be blessed as you work through this study. I’m eager to see more volumes in the series, and can’t wait to dive into The Wisdom of God: Seeing Jesus in the Psalms and Wisdom Books, which is already available. Thanks so much to Crossway Publishing for providing a review copy of this title to me. All opinions are my own. 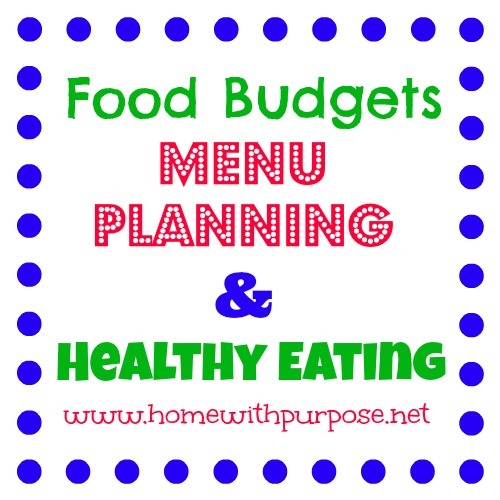 As the Christmas season begins to wind down, my thoughts are turning toward planning for the new year. We’ll be picking back up with our schoolwork and family devotional and catechism time after the past weeks of Advent and Christmas-focused time. 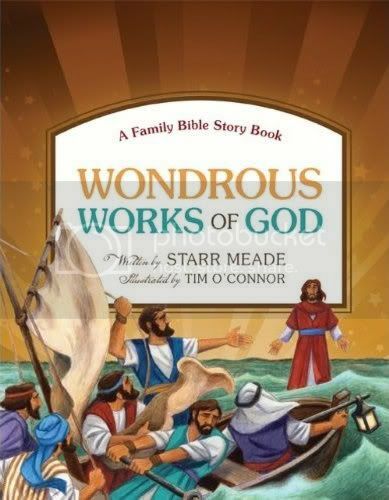 We’ll be starting with several fresh, new resources, including Wondrous Works of God by Starr Meade. “It’s imperative…that we read Bible stories correctly. When we read the stories as isolated units, we read them out of context. Read a random chapter, or worse, a random page, from a Dickens novel, and you will have a completely inadequate idea of what the author is trying to communicate or of what the character on that page is really like. Many of us read-and teach -the Bible like that. We try to make sense of an isolated story standing alone. Consequently, we fail to see what God is revealing about himself in this story, as he works toward the salvation of his people. We must think in terms of the whole, wonderful story of God’s salvation. That salvation story began when he created the world, continued when he promised a remedy for the fall, was articulated when he made covenants, grew and developed all through his dealings with his Old Testament people, and finally blossomed into it’s fullest glory when Jesus came, as intended all along, to die for his people and rise again. Every Bible story must be told in light of this big story. We must ask ourselves, how does this story fit into the overall story of the salvation God provides in Christ? We must look for what God is revealing about himself through what he is doing here, in this story. Yes! This is exactly how I want my kids to learn the story of the Bible! Wondrous Works follows the same format as Mighty Acts, choosing a new set of ninety stories to trace through the Bible. These aren’t just the typical stories found in children’s storybooks. Alongside typical stories about Isaac, Moses, and Gideon, you’ll read about and discuss Job, Hosea, Ezekiel, and even the dragon of Revelation 12! Each story has important points about God’s character highlighted in red throughout the text and ends with a short “As For Me and My House” section containing questions and activities that reinforce the point of the story. The stories are about two and a half pages long, perfect for a short family read-aloud at mealtime or bedtime. I’ve said before that Starr Meade has a gift for relating difficult theological concepts in terms children can understand, and that continues to hold true here. Not many children’s storybook authors tackle stories like Job and Ezekiel, but she pulls it off with grace and clarity. 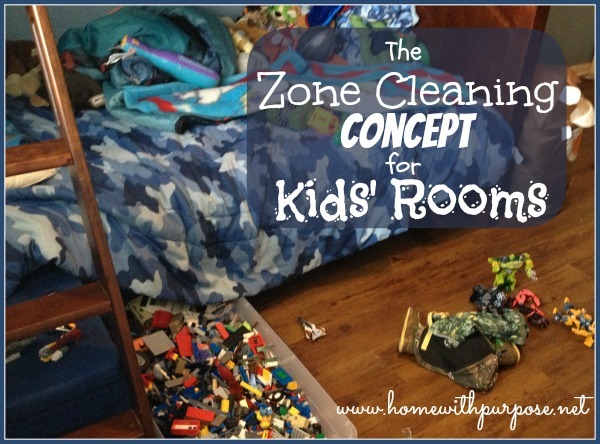 Another thing I really appreciate is that the content is interesting to a wide age range! I would say the target age range is probably upper elementary-those who have outgrown “story Bibles” but aren’t quite ready for preteen resources-and yet my preschooler and ninth grader have both enjoyed listening to these stories! I know that the three-year old isn’t picking up as much as the older kids, but he’s able to listen and retain some, and still the writing style is such that my teenager can listen in without feeling talked down to. This writing style and approach keeps me coming back to Ms. Meade’s resources again and again. We’re really looking forward to diving into Wondrous Works of God in January and marveling at God’s extraordinary story anew! Thanks so much to Crossway for providing our family a copy of Wondrous Works of God to review! All opinions are solely mine. 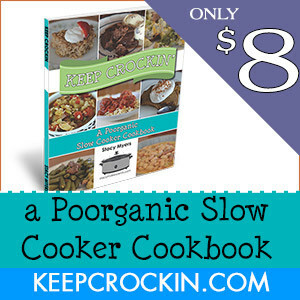 We’ve used and enjoyed many Apologia products in our home over the years. I’ve also been blessed by author Sally Clarkson’s writing…she’s such an encouragement to moms! So, when Apologia offered the opportunity to take a look at her daughter Sarah’s devotional/bible study for mothers and daughters, I was very interested! It looked like something that would be wonderful for the Dancer (14) and me to go through together. Due to a slight shipping delay and being out of town when the book arrived, I actually haven’t even had time to begin working through this with the Dancer yet, but I did read the entire book myself. We’re starting through it together this week, and I’m really looking forward to reading and discussing with her! 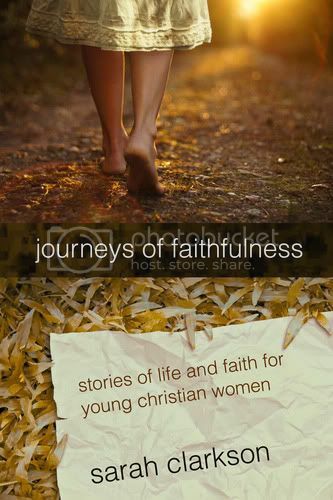 Journeys of Faithfulness: Stories of Life and Faith For Young Christian Women is a collection of inspirational stories and devotions that explores the spiritual journeys of biblical women. The book is divided into four parts, covering the stories of Mary and Martha, Mary mother of Jesus, Esther, and Ruth. 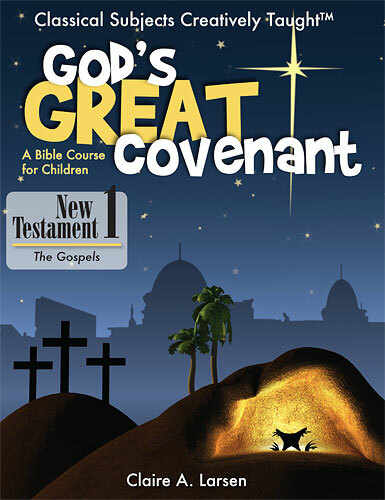 Each part contains three fictionalized stories about that particular woman (women, in the case of Mary and Martha), followed by a devotional section expanding on the themes introduced in the story, a short bible study with Scripture to look up and discussions questions, and several pages intended for journaling. By “fictionalized”, I mean that the author has taken actual incidents in the lives of these women that are related in Scripture and fleshed them out with dialogue and possible thoughts and feelings they may have experienced, much like biblical historical novels do. While it’s somewhat speculative, I think it provides a useful way for us to relate to these women and their faith, and I know the Dancer is able to understand that this is just a scenario of how it “might have been” and not the same as Scripture itself. The accompanying devotions are beautiful! 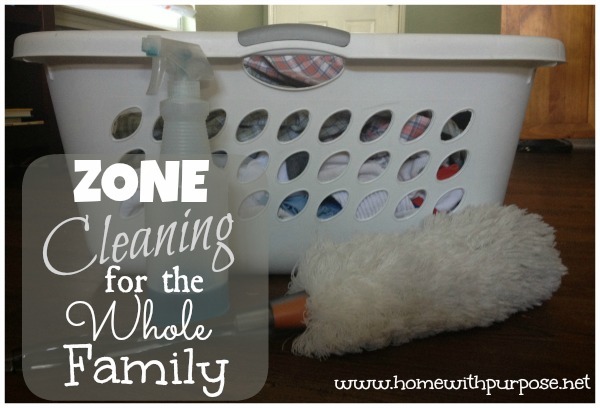 Sarah Clarkson is truly a gifted writer! She’s able to take her own personal experiences and relate them to the themes introduced in the story, expanding on them and making them relevant and applicable to young women today. In fact, I think that despite this being marketed for the younger generation or as a mother/daughter study, any age will benefit from this! I’m 37, and I was moved, challenged, and touched by many of Ms. Clarkson’s insights. The bible study section is short, just a page to page and a half, containing three to five Scripture references and questions that really bring home the biblical principles illustrated by the story and devotion. 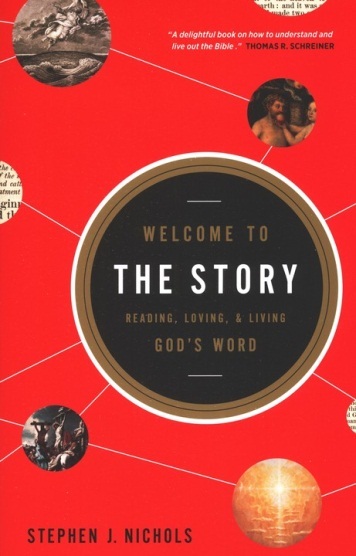 I really appreciate how the themes of God’s one story and delighting in God, both of which I think are essential to understand, are woven throughout the book. “Mary knew the story of God. She knew the history of his people and the promises he’s made. Because of that, she didn’t crumple in shock when the angel came with his startling news. She knew that the prophets had foretold a Messiah who would save His people. Mary was able to say ‘May it be to me just as you have said’ because she knew the story to which she was being called. “Beauty, I realized that wondrous night, has the power to reveal God’s presence. God isn’t just a thought to be known; He is a joy to be sung, a feast to be eaten, the Great Delight of the world. God’s love is felt in friendship. His joy sings in the wind and spices our feast and glimmers in the golden sunsets. He made the cadence of the seasons, the crunch of apples, and the touch of friends to reveal His eternal goodness. I think Journeys of Faithfulness will make a wonderful mother/daughter study and works beautifully as an individual study for young and old alike! 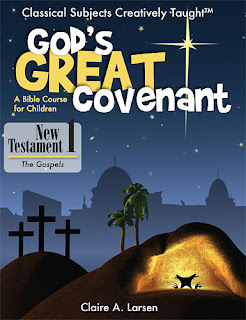 It’s recommended for ages twelve and up and is available from Apologia for $13.00. You can see the table of contents here, and you can also try out the entire first chapter for yourself, including the story, devotion, and bible study! Disclosure: I was provided a review copy of this book in exchange for an honest review. All opinions are solely mine. If you’ve read my blog for long, you’ll know that I like to beat the drum for the importance of the continuity of Scripture: how it’s absolutely essential to see it as one story of redemption from Genesis to Revelation rather than a series of disconnected events, stories and writings. I usually mention this in relation to how we teach our children about the Bible, but it’s equally important for us as adults to grasp. That’s why I’m so excited about a new Bible study series by Nancy Guthrie called Seeing Jesus in the Old Testament. 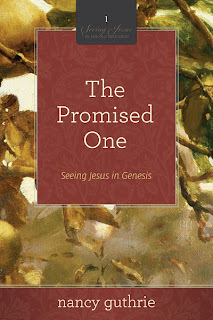 I’ve been working my way through the first book, The Promised One: Seeing Jesus in Genesis, and I’m very impressed! Each week (except the first week) begins with a “Personal Bible Study” section that guides the reader through the passage for the week with questions, charts, and related Scripture passages. For those short on time, the most crucial questions are marked with a clock symbol. This is followed by the meat of the study, called the”Teaching Chapter”. Ms. Guthrie has a gift for expressing herself that makes this section a real feast for the soul. She’s able to tie every passage in to the larger storyline of redemption in an understandable, insightful, and incredibly edifying way. Each teaching chapter closes with a short section on”How Genesis Points to What is Yet to Come”, which further points to the continuity of the story, and shows how foundational the book of Genesis is to all the major themes of Scripture. As Jesus worked his way through the writings of Moses and the prophets, he didn’t merely point out specific prophecies that he fulfilled, which is what my understanding of how the Old Testament points to Christ has been limited to for most of my life (i.e., that he would be born in Bethlehem and that he would enter Jerusalem riding on a donkey). And he didn’t use Old Testament characters or situations as examples to instruct the two disciples on how to live the life of faith, which is how many of us have always heard the Old Testament taught. It is doubtful that he turned to the story of Noah and began teaching them that they needed to obey God even when it meant going against the crowd. More likely he turned to the story of Noah, the one whose name means rest, and said, “Hide yourself in me like Noah and his family hid themselves inside the ark and were saved from the judgment.” He didn’t turn to the story of Abraham offering Isaac and tell these disciples that they needed to be willing to give up what is most precious to them for their God. Instead, perhaps he said something like, “See how this father was willing to offer up his only son as a sacrifice? Can you see that this is what my Father did when I was lifted up on the cross?” He didn’t turn to the story of Joseph to teach them that they should flee temptation. More likely he said something like, “Remember how Joseph became the one person that everyone in the world came to for food in the famine? That’s me. I am the bread of life, the one to whom all men and women must come to find life. Jesus didn’t work his way through Genesis to point out what we must do for God, but to help us see clearly what God has done for us through Christ. As we read the Old Testament, we don’t want to merely make observations about the behavior of the godly and godless and then try harder to be like the godly and less like the godless. Instead, we must realize that there are no true heroes in the Old Testament. No one is perfectly and persistently pleasing to God-the judges aren’t strong enough, the kings aren’t good enough, the prophets aren’t clear enough, and the priests aren’t pure enough. The subsequent weeks build on this foundation as they go through the text of Genesis from beginning to end, looking at every event through gospel eyes, recognizing Jesus in the people, the promises, the stories, the symbols, and the shadows. Even though the study is designed to be done in a group, I’ve been reading through it myself and very much enjoying it! I’m finding it truly rich and edifying, and in a group with discussion I’m sure it would be even more so. Individually, with just a couple of friends, or in a small group or Sunday school class, this study won’t fail to have an impact. I highly recommend it and can’t wait to dive into the next volume, The Wisdom of God: Seeing Jesus in the Psalms and Wisdom Books , which releases in February. 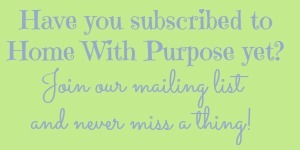 I’ll share my thoughts on it once I’ve had an opportunity to look at it. Thanks so much to Crossway for providing a review copy of this book to me. All opinions are my own.